Lawyer Michael Avenatti has enjoyed some time in the spotlight. As the one-time lawyer for Stormy Daniels, one of President Trump’s mistresses, Avenatti quickly became the darling of the cable news circuit. Quick on his feet with a sharp wit, he would bounce from show to show and dominated the news cycle for months and months. But like the ill-fated Icarus who flew too close to the sun, Avenatti’s star has dropped precipitously in recent times. 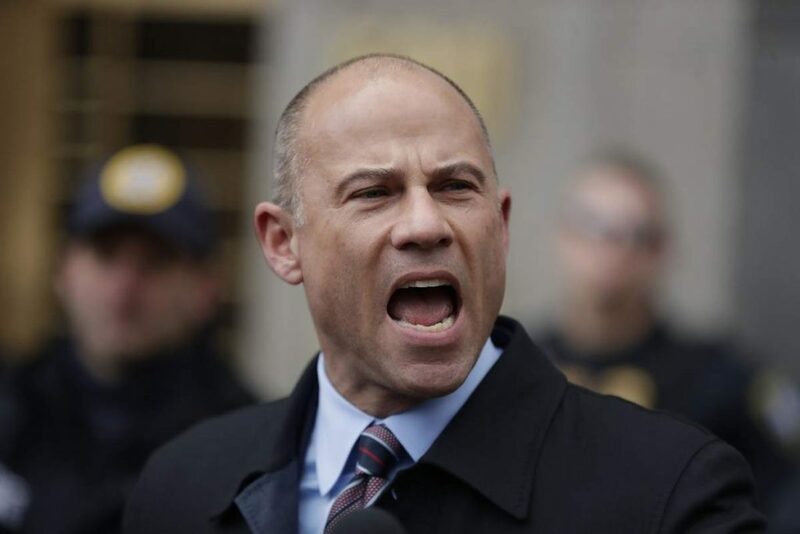 First, he was fired by Stormy Daniels after she was ordered to pay the President’s hefty legal fees after losing a very ill-advised defamation lawsuit filed on her behalf against President Trump by Avenatti. And now he has been criminally charged with trying to extort Nike by threatening to hold a press conference related to purported illegality in the company if he was not paid over $20MM. Avenatti was apparently representing a high school basketball coach whose players had allegedly been given contracts to wear Nike shoes. Avenatti knew that the authorities in Los Angeles already had a criminal investigation involving Nike for similar conduct. Avenatti is suposedly on tape calling Nike’s lawyers and warning them that if they did not pay his client $1.5MM and him (and allegedly high-profile LA lawyer Mark Geragos) a total of $20MM he would hold a press conference to announce their wrongdoing and that he was filing a lawsuit against the company. He had planned on the timing of the press conference to come right before Nike issued its quarterly report and the start of the NCAA March Madness tournament. The alleged threat was that the public announcement of the lawsuit would take “billions” off of Nike’s market capitalization. Sure media lawyers in NY and LA alike routinely try to resolve cases before filing a lawsuit by intimating that a public lawsuit would not be good for the target’s reputation. They even occasionally send a draft complaint to let the other side know how lurid and embarrassing the details in the complaint will be. But usually there is no need to make specific mention of the ugly publicity and shame that will be forthcoming; it is evident from the facts of the case. And certainly sharper lawyers do not make a deal based on the quid pro quo of such a large payment in exchange for not filing. Gloria Allred made a fortune representing Tiger Woods’ myriad mistresses by scheduling – and then suddenly cancelling – press conferences with them. But she didn’t make more than her clients. She got a piece of their settlement. And she didn’t try to simultaneously structure a deal with Tiger Woods while still representing someone adverse to his interests. the 20MM was supposed to be for Avenatti and Geragos to conduct an internal review of Nike’s endorsement-recruitment policies; the kicker was that the upfront payment of $12MM was to be “deemed earned” once delivered. And in my opinion, it is that fact that separates these facts from aggressive lawyering with threats of shame and possibly crosses over into attempted extortion. Many lawyers -especially copyright and patent trolls – use similar methods by threatening the filing of lawsuits in exchange for settlement payments that exceed the value of the claim. Heck, I’m part of website that helps folks who have been hit with troll claims over digital images on their websites which is called ExtortionLetterInfo.com and on it I refer to the trolling practice as “legalized extortion.” Here, a 20MM payment to hire Avenatti in exchange for not holding the press conference, however, bears no relationship to Avenatti’s client’s claims. The $12MM upfront payoff was to be “deemed earned” without any earning actually having been done. So what was it for? To have Avenatti withhold a damaging press conference. That doesn’t sound too good to me. Avenatti will undoubtedly argue that he was just doing his job and acting as a lawyer. I think he will have a hard road in mounting that defense due to the way he structured the proposed deal with Nike. Had he offered to settle for the $1.5MM including legal fees, he likely would never have gotten arrested even though that amount is probably well higher than the value of his client’s claim. As we say in litigation though, “Pigs get fed. Hogs get slaughtered.” The amount Avenatti demanded certainly appears extortionate when tied to the lack of value that Nike was getting for the payment; but let’s wait and see how all the evidence plays out in a case that has all the bearings of one that is headed for a trial.